Customers are changing rapidly. Their ever-rising expectations mean that focusing on a loyalty strategy based on price and transactions alone is no longer enough: it will only produce a race to the bottom on price and once someone beats you on price, most customers will switch. Brands today must offer a more emotional customer experience if they really want to engage with their customers and build relationships that last. We’re already seeing a shift from a more traditional, transaction-driven form of loyalty, to a deeper, more holistic form of loyalty based around customer emotions. However, there seems to be a lingering resistance to change from a lot of brands. The reality, though, is that we need to acknowledge that today’s consumer has more choice than ever before. Rather than that choice being a source of worry that customers might shop elsewhere, we should be actively encouraging and helping them to achieve their goals and meet their aspirations. If brands care about the value they offer to customers and embrace this trend of tapping into customer emotions, then they’ll have the opportunity to transform their loyalty programs for the better. It’s not uncommon these days to come across articles asking whether it’s possible for loyalty to exist in today’s digital world. Perhaps it’s a fair question to ask. After all, on any commute you can witness people flitting from one piece of content to another on their phones, every few seconds. There’s a fear that a world of constant media consumption via social media isn’t exactly conducive to brand loyalty. Consumers also have more choice now than they’ve ever had before. Therefore, the worry for brands is that their customers will now simply migrate to a competitor if they’re offering something similar at a lower price point. While it cannot be denied that price remains a key pull for many consumers, we would suggest that there are now two types of loyalty. The first and more traditional one is built around the product, the price, and the convenience to the customer. Essentially transactional factors. The second, which fits much better with the desires of the modern consumer, is more about emotion. It’s about building a relationship with customers, offering them experiences – even enabling a lifestyle. In a recent Accenture study on loyalty called Seeing Beyond the Loyalty Illusion, there are some telling insights into the consumer in 2017. For example, 7 out of 10 consumers claim loyalty programs do not engender loyalty, while nearly 8 in 10 say they now retract their loyalty more quickly than they did three years ago. The report suggests that there’s currently a disconnect between investment in loyalty programs and the understanding of how the modern consumer behaves. Could it be that this data is indicative of loyalty programs focusing on the more traditional, increasingly outdated loyalty strategy based around transactions, rather than offering a more emotional customer experience? The same report from Accenture focuses on millennials and the importance of understanding the values and behaviors that set them apart from other generations. The suggestion is that for millennials, a more emotional customer experience is what is required. For example, the report highlights that millennials tend to value personalization where other groups value product / service quality. It also states that they typically share positive experiences of a brand with friends and family, whereas other generations are more likely to keep their satisfaction to themselves. There might be some skepticism about providing an emotional customer experience – that it’s just a millennial thing that doesn’t matter to other generations. However, it’s probably more that millennials are just open about how it attracts them to a brand and how important it is to them. Tapping into customer emotions has been key for advertisers for the last 150 years. It is just that somewhere along the line, it has become less of a focus among those loyalty programs struggling to differentiate themselves in a crowded market. Millennials are an ever expanding group, both in size and in influence. They’re also early adopters when it comes to interacting with technology and digital payments. Therefore, it makes perfect sense for loyalty marketers to strategize for the future with this group in mind. In recent years it has sometimes felt like customer expectations are rising more quickly than brands are willing to change. However, if loyalty programs are to be relevant in the coming years, then it’s crucial that changes are made now, based at least in part on the kind of emotional drivers that matter to millennials. In an article in the Harvard Business Review about the importance of emotional connections with customers, several high-impact motivators that affect customer value are listed. Among them are feeling a sense of freedom, feeling a sense of belonging, and being the person I want to be. As the author of the article states, on a lifetime value basis, emotionally connected customers are more than twice as valuable as highly satisfied customers. For that reason it’s absolutely crucial that brands offer a more emotional customer experience. But what’s the best way to form a connection with customers? It might sound obvious, but the most important thing is to show them that you care. Customers have sadly grown accustomed to brands treating them more like a number than a person. But this orientation is increasingly dangerous in a time of such intense competition and expectations. The key is for brands to be genuine and personal in all interactions with customers. Not just those which take place in-store, face-to-face. Marketers have to listen to them and enable them to connect with the brand as they wish. Increasingly this means via social media channels. We recognize that it’s more difficult for brands to please their customers than it used to be. However, as loyalty marketers we need to strive to tap into the emotional motivators of the modern consumer. As we’re about to explain, at Currency Alliance, we think that the best way for brands to connect with consumers and show they care is to operate within an open loyalty ecosystem. We have written fairly extensively of our belief that there needs to be more liquidity in loyalty programs. We think that there are too many barriers for members of programs to be rewarded for their loyalty. There is too much friction in the system. Traditional loyalty programs are working well for the top 20% of most frequent spenders among a typical customer base. But what about everybody else? An open loyalty ecosystem, based on coordinated cooperation among brands has the potential to engage a lot more people – perhaps 70%. Imagine a loyalty network with brands sharing a common loyalty currency, or allowing for exchange from one loyalty currency to another. Such a system would be much more seamless for the shopper, offering them more opportunities to collect and redeem. And, as an additional benefit, it would also work much better at satisfying emotional motivators, such as those listed in the previous section. With an open loyalty ecosystem, members would have a sense of freedom that comes from a brand trusting them to redeem for their loyalty where they choose – not necessarily in their store. There would be very limited obligations or restrictions. A sense of belonging would naturally arise from the customer being part of a network that would include several brands that had an affiliation and who shared the belief that the customer should have greater choice. In fact, a number of high frequency grocers have stated that their best customer is one motivated to collect their loyalty currency but often redeems for more experiential products and services. Given that customers have wider aspirations that might not be available in your store, giving them the opportunity to seek more aspirational goals elsewhere would also tap into the motivator of the customer being the person they want to be. Aside from these emotional motivators, this open loyalty ecosystem would also provide brands with richer customer data, helping them to profile customers based on activity beyond their store, and to offer the personalized experiences they now expect. Customers expect much more from brands than they did several years ago. Younger generations in particular are growing up in a world where brands interact with them on Twitter and share more emotional, relatable stories with them in the moment on Instagram. This is becoming completely normal to the modern consumer and the trend shows no signs of slowing down. 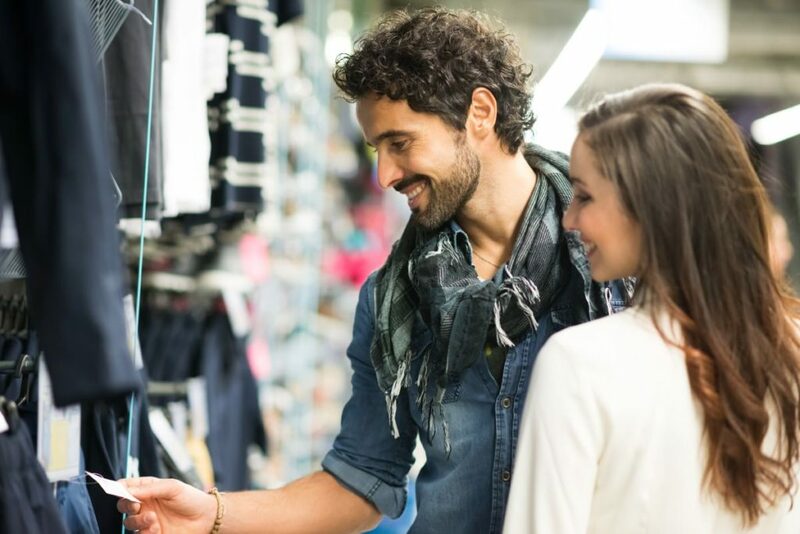 In one sense it’s up to each individual brand to offer a more emotional customer experience, both in-store and across online channels. The most obvious way to do this is to just be human – to be personal, and show that you care about customers achieving their goals. However, it’s as a collective that the opportunities for meeting these emotional motivators really come into their own. If brands were to join a wider, open loyalty ecosystem, then they would find that their customers are able to meet their aspirations, and the brand would know a lot more about them, too. Talk to us to find out how an open loyalty ecosystem can help you offer a more emotional customer experience.